I’ve concocted a glittery color shifting kaleidoscope of a mani! 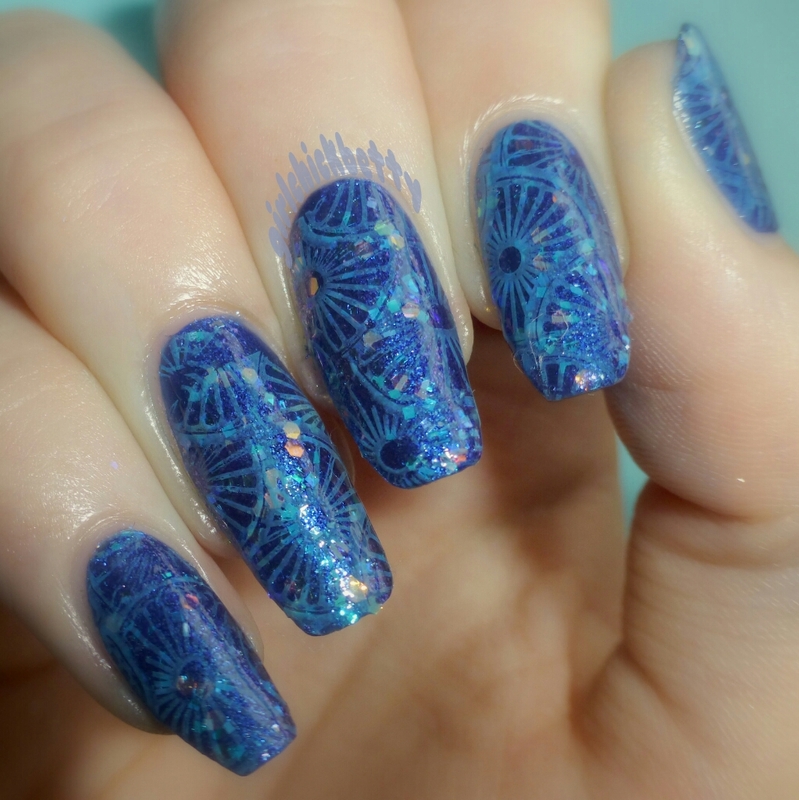 This stamping image comes from BP-L003; it strongly reminds me of the shifting spirals of a moving kaleidoscope, so I used an iridescent glitter underneath the stamping to really make that trait stand out! My base is Formula X Beacon, and then I used a light coat of Revlon Heavenly. I stamped with L.A Colors Gel Daring, and sealed it all in with Miracle Nail Topcoat.